I like to experiment and recording them here will help me remember what was good. This recipe was found and then perfected by my wife. She asked me to cook it one day and now I cook it all the time. 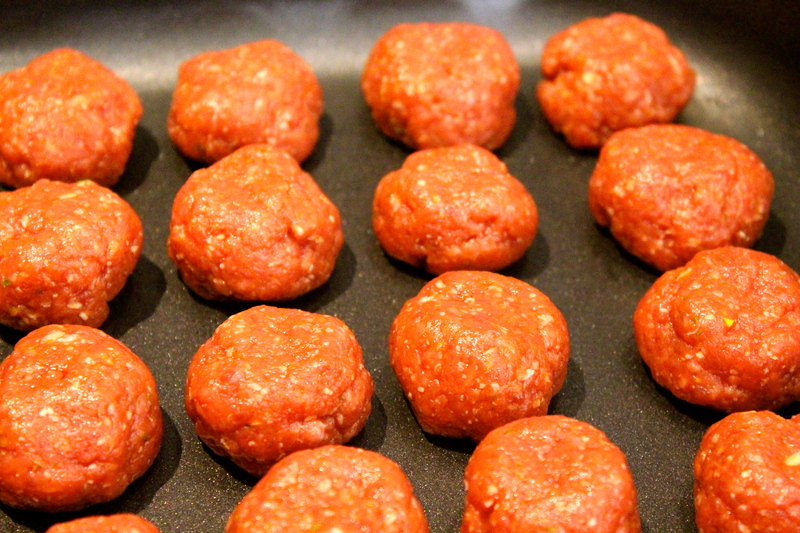 These meatballs are extremely compatible with the Dukan diet. The idea behind these was to create a small healthy snack that could be eaten quickly and is high in protein. 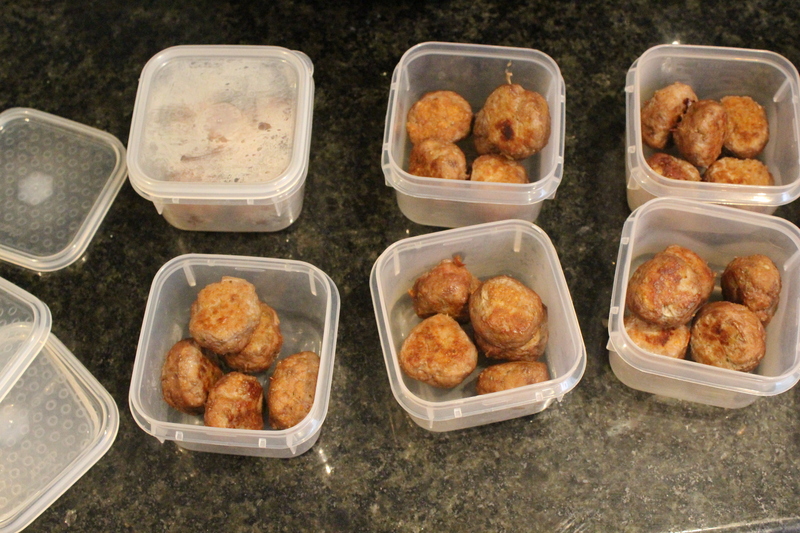 The meatballs can be kept in groups of 3 or 4 in individual containers. They microwave in about 1 minute and are a great snack. 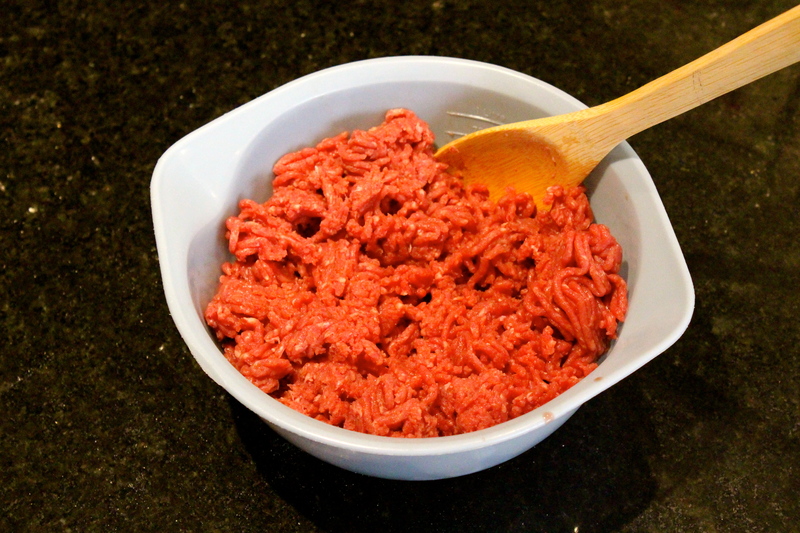 Start with 500g of beef mince. 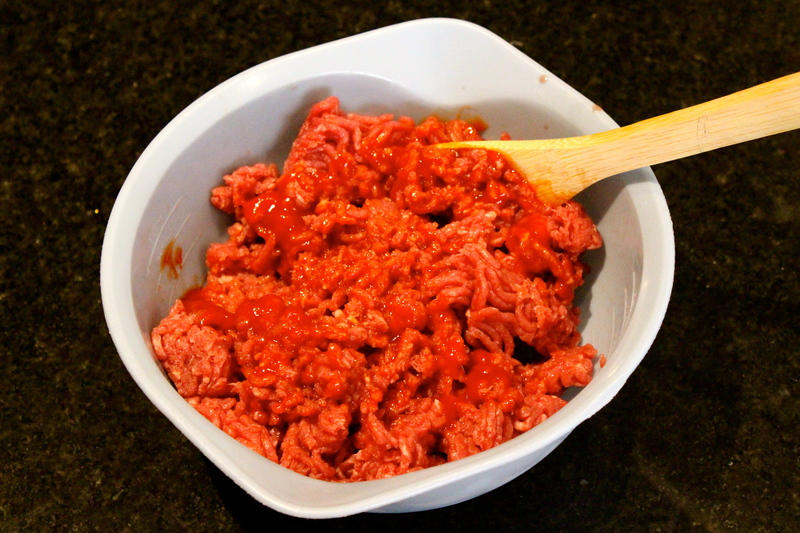 Then add some tomato sauce. 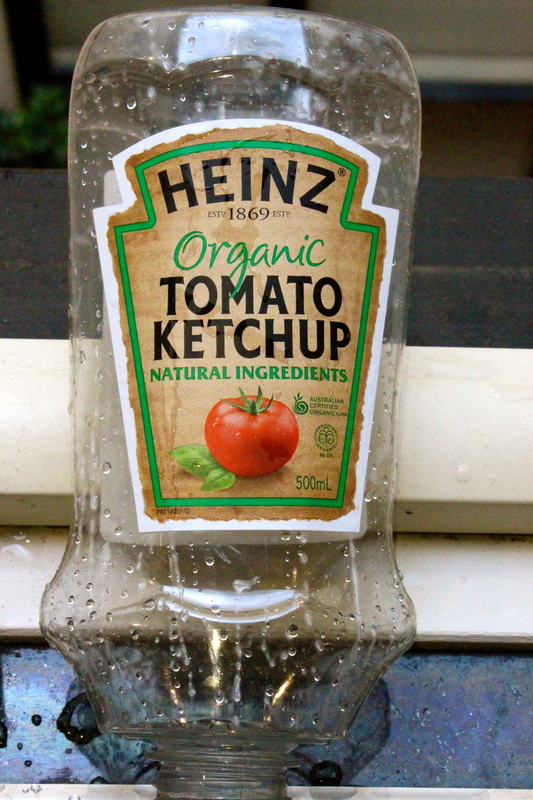 The tomato sauce we use is apparently the right one that you can use with Dukan. Put in maybe half a cup. Stir it all up really well. I find that a really good stir after each ingredient is added makes it turn out really well. Next throw in 2 tablespoons of Oat Bran. This stuff is also Dukan friendly and is great for your digestion. 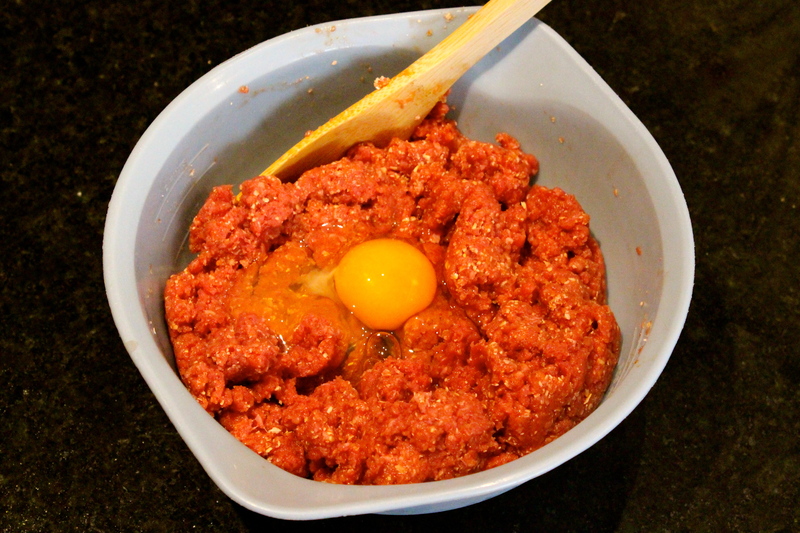 Once you’ve stirred all that in, the next step is to add an egg. It’s just more protein, right? Once you’ve mixed all that up, the seasoning needs to go in. 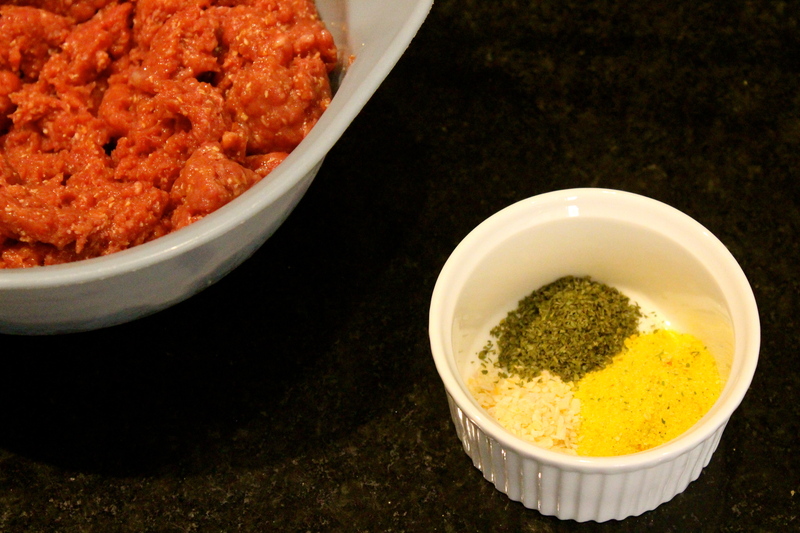 I usually mix all the dry ingredients before putting them in with the mince. Above you can see parsley, onion flakes and a vegetable stock powder called Vegata. If I have them available, I prefer to use fresh herbs instead of the dried parsley. Usually fresh parsley and chives. Once that’s all been mixed in nicely, just roll the mixture into little balls and put in the frying pan. 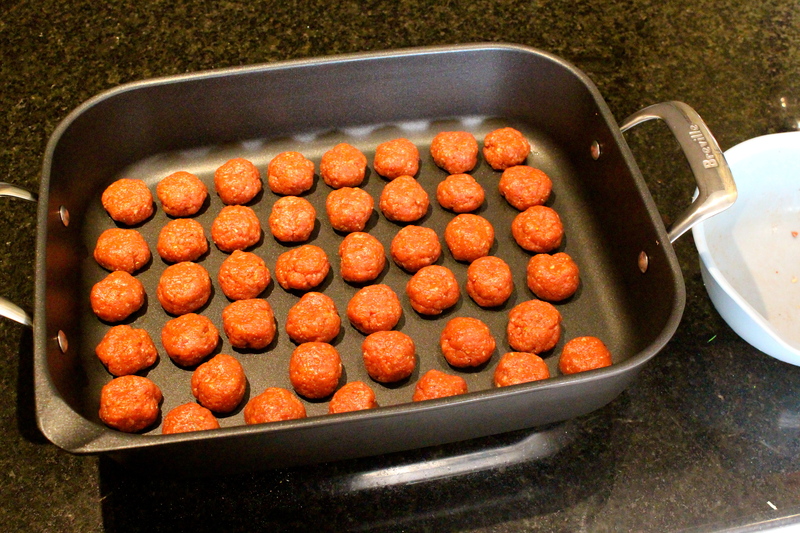 Depending on the size of the meatballs, you could get around 40 meatballs out of one mixture. I use my electric frying pan on number 4 (on’t know what that equates to, really) with the lid on. I spray a small amount of olive oil in the pan to stop sticking. I turn them over when they are brown on the bottom, and then take them out when they are brown on top and bottom. Once cooled, put them into little containers for snacks. They go really well with bbq and steak sauce and are great little snack. You could also add them from here straight into a Bolognese type sauce and serve with spaghetti. Form: Into small balls and cook in a frying pan, turning when the bottom is brown. A quick an easy recipe. I made it last night and decided to take some photos while I did. This recipe is all about a cheap and easy meal that feeds thousands. 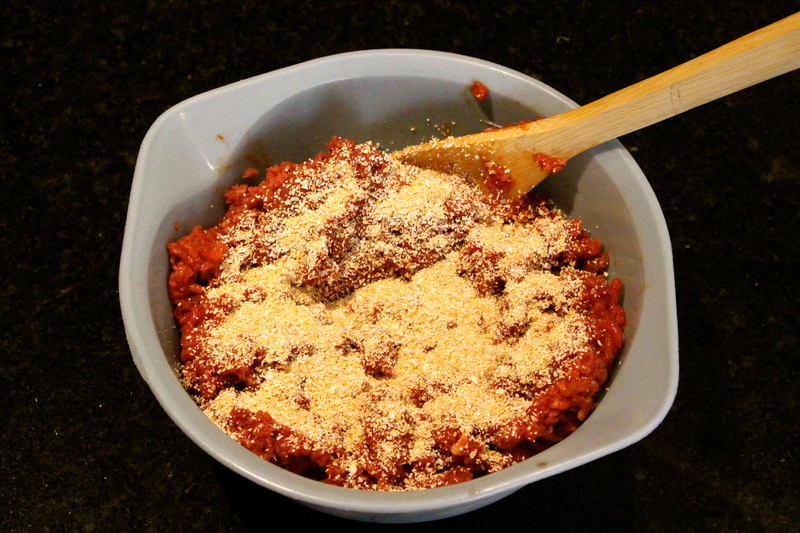 It’s pretty much your standard Spaghetti Bolognaise, but with quinoa instead of meat. First things first – boil some pasta. 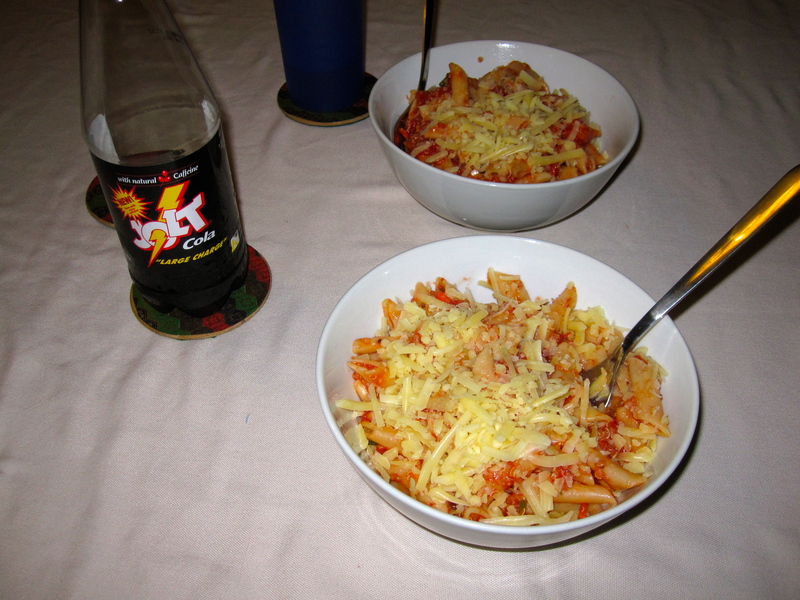 I put in a packet and a half (500g pkt) which was way too much, but left overs are great. Just so you know, that’s pineapple, grated carrot, corn, celery and the quinoa in the background. Then once the pasta was cooked, I put it in a steamer and left it in the sink to drain. I through the vege ingredients into a hot frying pan and fried them a little, then chucked in the quinoa and heated it up as well. After that that diced tomatoes went in, got mixed up and then I added the pasta sauce. I gave it all a really good stir and then added the parsley and vege stock (just a sprinkle of each). 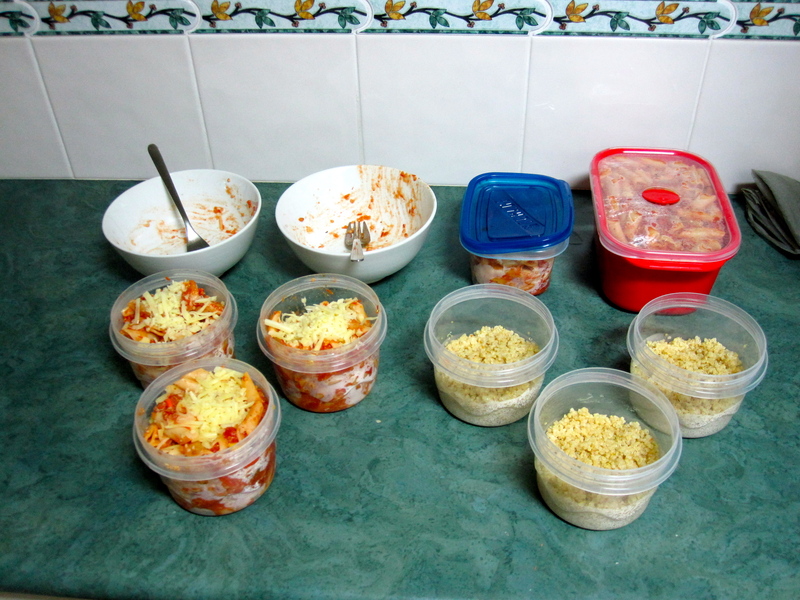 So, the funny thing is that I made HEAPS. To give you an idea on exactly how much I did make, here is a picture of what I ended up with. I figure that this meals would have to be only a dollar or two per serving and makes heaps. Cheap, easy, quick – win. 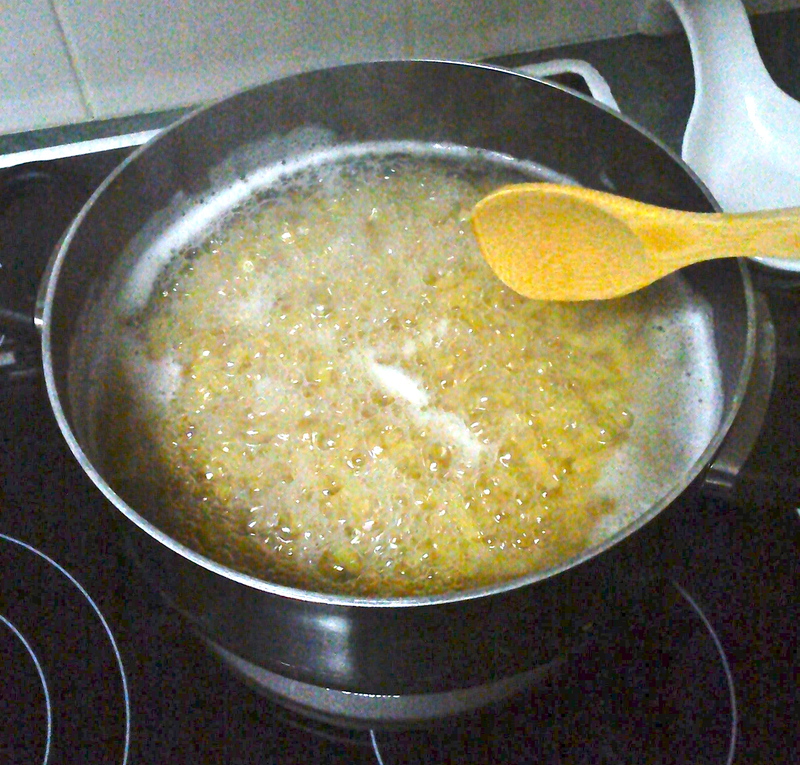 Fill a saucepan with water and bring to the boil (so it’s bubbling). I use the saucepan like part of a vegetable steamer – it holds more and I use the steamer part to strain the macaroni after. Once the macaroni has finished cooking, tip it into a strainer and set to drain. 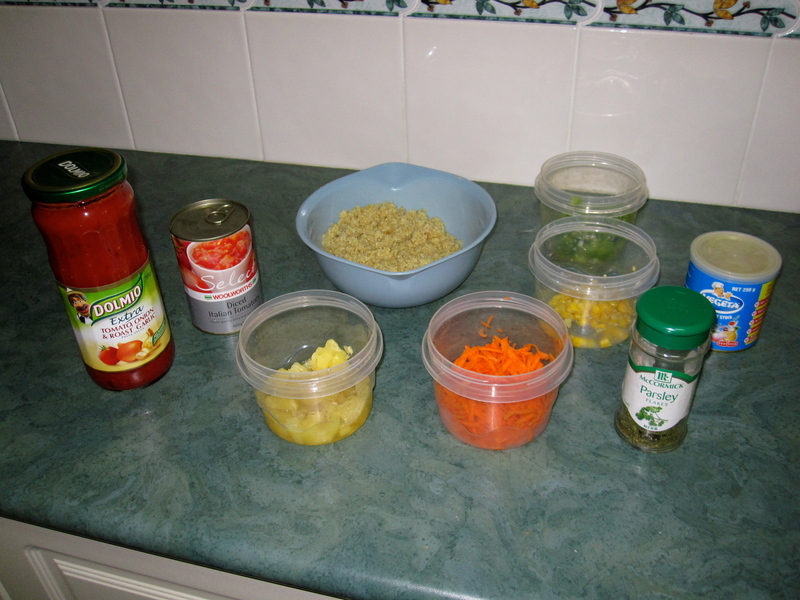 While the macaroni is cooking, I assemble all the ingredients and get them ready to do the sauce bit. The cooks (and burns) very quickly, so it’s good to be prepared. 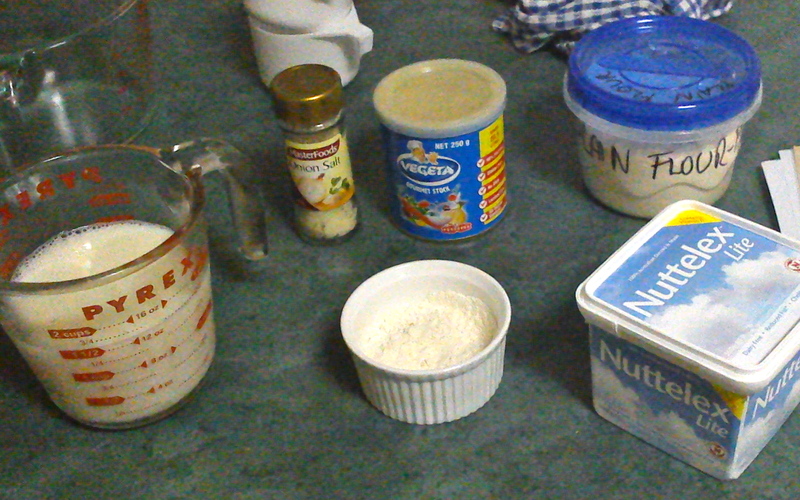 From left to right: I use skim milk as it has a lower fat content and doesn’t matter for cooking. I use Masterfoods Onion Salt, it’s just a little tastier than normal salt. I also use Vegata vegetable stock – this stuff is brilliant! In the middle you can see where I have mixed the salt, stock and flour together to prepare for the sauce cooking. You can see on the right, I use Nuttelex. It’s non-gluten, non-dairy, low fat and still tastes like butter! 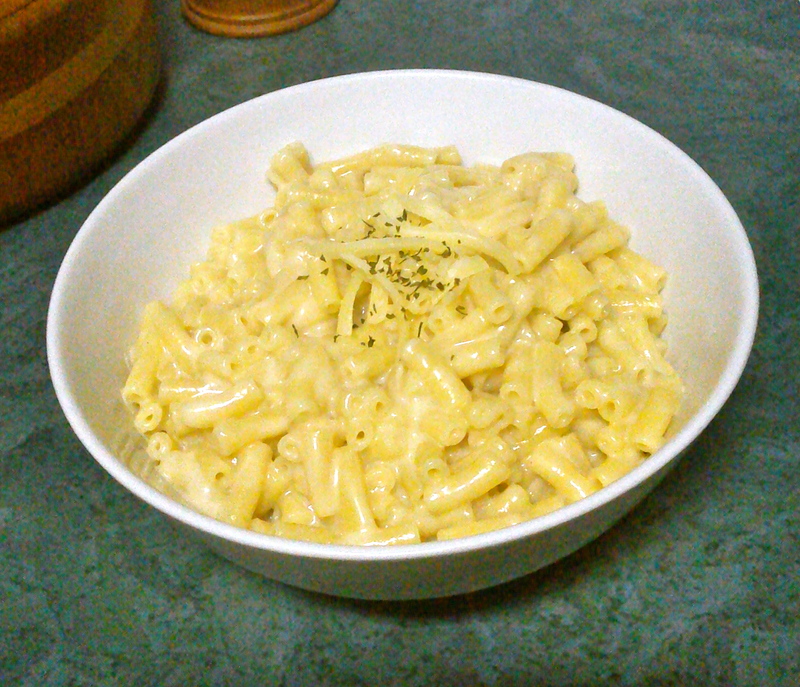 he only other ingredient I haven’t shown here is cheese – I use reduced fat cheese as well – it just makes it less greasy. 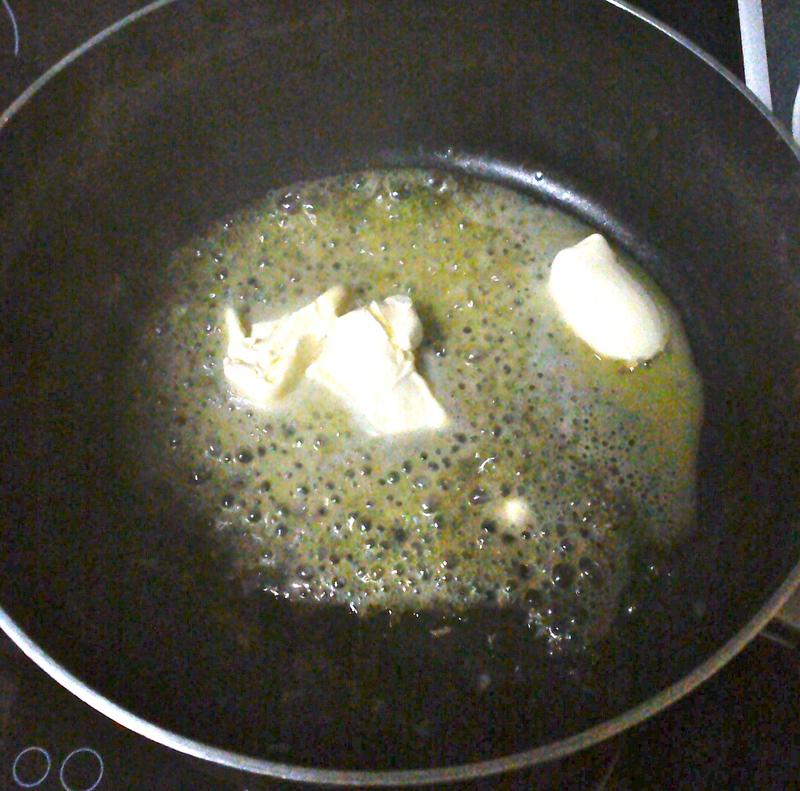 To start cooking the sauce, place the butter into the saucepan with it on a medium temperature. This part of the recipe is actually making white sauce. If you add the cheese, it makes cheese sauce. You can use the same recipe to just use as a sauce! 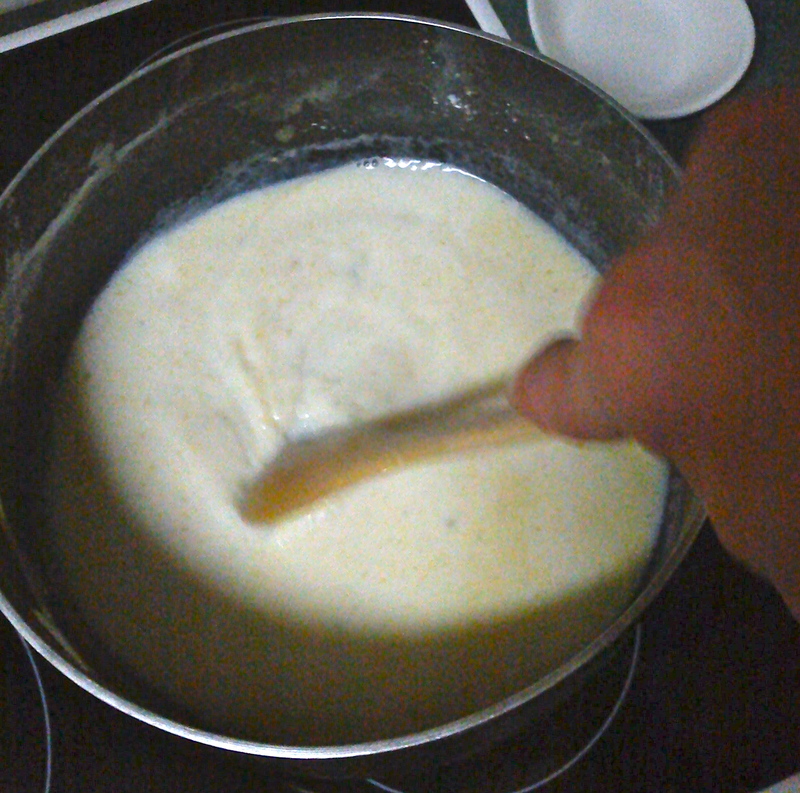 Once mixed, pour a third of the milk into the saucepan and stir until all is mixed in. When it boils, add the rest of the milk and stir until boiling. The idea behind putting part of the milk in first is that it mixes better and gives a better result. I’ve found that the bigger the saucepan, the more you can pour in at once. 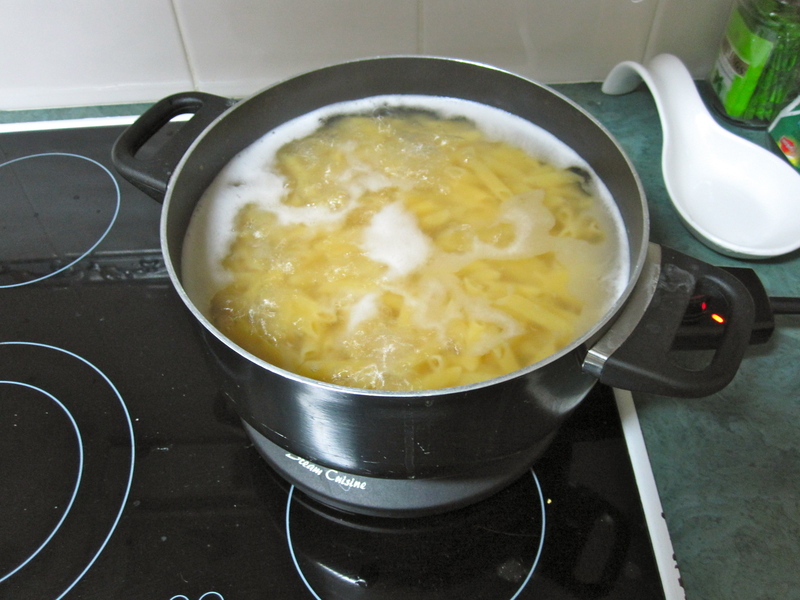 Once it starts to boil, add the cheese and stir until all the cheese is melted. If you don’t add the cheese, you have an awesome white sauce. 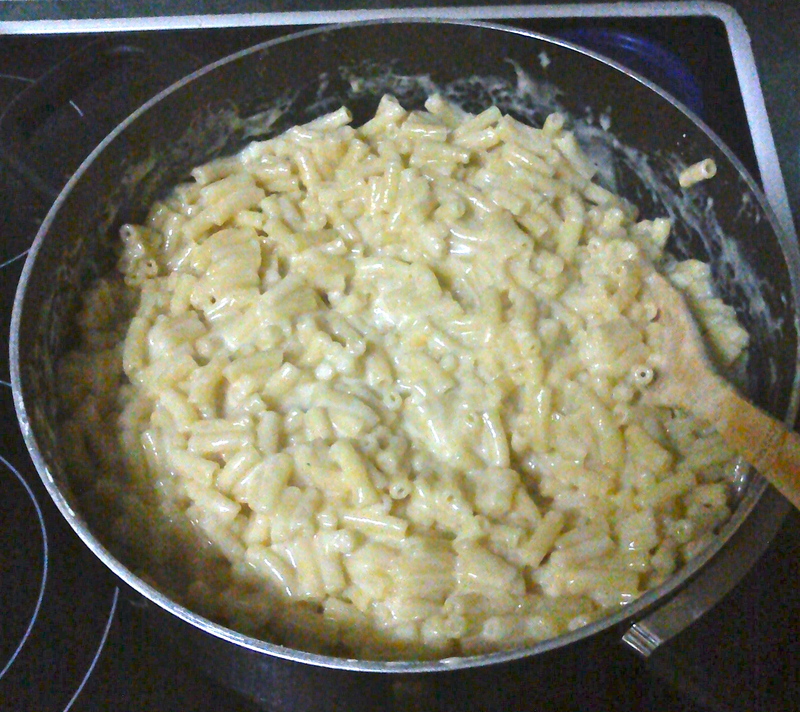 Add as much cheese as you want, also experient with different types of cheese. I like tasty and parmisan together in the mix. Once all the cheese has melted, add the drained macaroni to the saucepan and stir to ensure the sauce covers all of the macaroni. This is why I use the steamer. Make sure you have a large saucepan, or else this gets messy. Also, keep the heat on, ut low so the pasta can heat up again if it cooled down too much. Serve. 🙂 This makes HEAPS it probably makes enough for about 10 people as a side dish, or 4 big blokes for a main. Add diced cooked bacon. This is ridiculously yummy, but not heaps healthy. Fill small or medium ramekins with the mackin’ cheese and top with a layer of grated cheese and a sprinkle of parmison. 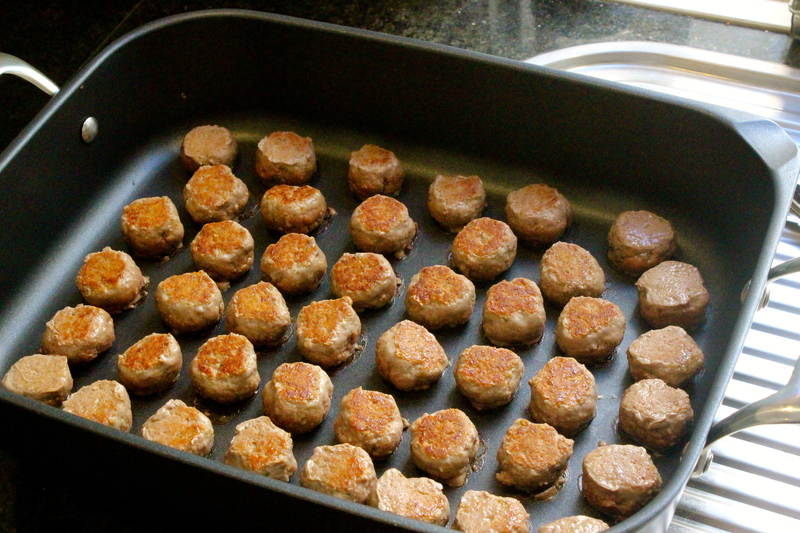 Pop them in the oven long enough to go brown and serve in the ramekin. This meal will keep in the fridge for a couple of days without a problem. It also seems to retain it’s heat, so be careful when first eating it as it will be hot! Also, I aven’t tried freezing it, so not how that would work out.